The Foos II is a high-quality American style table made by the Shelti company. 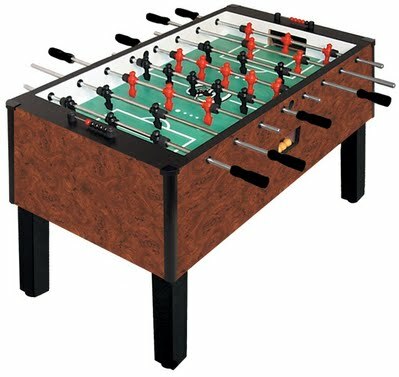 This foosball table, made in Michigan, offers competition-grade American durable parts, impeccable game play and a clean, polished sense of style. 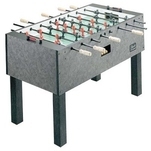 Shelti has adapted many foosball table features from the Tornado brand tables and it shows. This is a table that’s built for a lifetime of fun with every member of the family. This foosball table is priced at around $1,270 US. Counterbalanced foosball men with 3 man goalie design features precisely sized and angled foot 880-tooth grip consistently 3/16 inch atop the field for optimum ball capture and control, front and back.